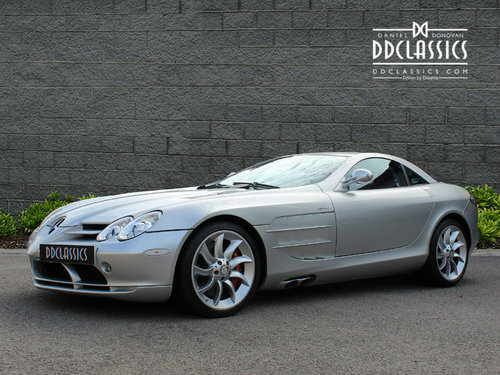 The initial production of the Mercedes-Benz SLR McLaren in Woking, England resulted in an outstanding car that embodies the tradition of Mercedes-Benz and combines the fascination of McLaren. In its design, the SLR is a modern-day Mercedes-Benz containing rounded headlights and the prominent, three pointed star. 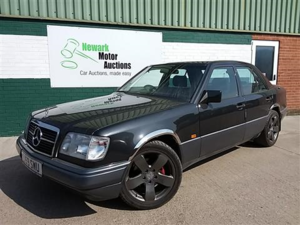 On the contrary, the side vents and dramatic sweeping lines give it a powerful look no other Mercedes has. The dihedral doors however, are derived from McLaren. By deriving the most important components from both automotive powerhouses, the SLR is a combination of the most important aspects of both. The nose section of the SLR is inspired by by a Formula 1 car references McLaren and Mercedes as a race team and engine supplier. 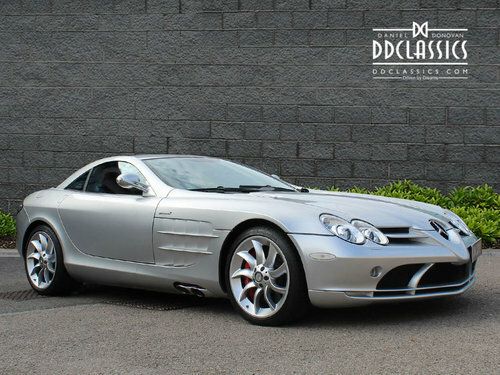 It is evident that the Mercedes and McLaren employed all the latest technologies to give the SLR not only a cutting-edge look but to stiffen the competition it faced from the Porsche Carrera GT and the Ferrari Enzo. This is clear in the fiber monocoque that gives the (SLR) Sport Light Racing it's well deserved name, allowing the vehicle to be lightweight, but providing absolute strength and rigidity. 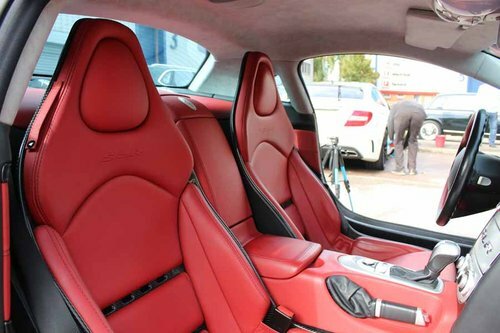 As opposed to creating a no-compromises type supercar, in response, the Mercedes-Benz and McLaren went a different route by placing the engine behind the cabin, the car had a front-mid-engine layout with the engine placed behind the front wheels and ahead of the cabin. This gave the car a rather spacious boot and cabin, which was a rarity for cars with similar performance. The McLaren was powered by a hand-built 5.4 literature V-8 fitted with a Lysholm-type twin-screw supercharger. It is fitted with an AMG Speedshift R 5-speed-transmission and is capable of producing an astonishing 617 brake horsepower at 6,500 rpm. 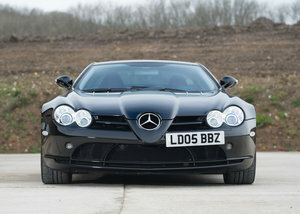 It goes without saying that the acceleration of the SLR taking it from 0-60 mph in just a phenomenal 3.8 seconds. To complement its 3.8 seconds acceleration, the SLR features an automatic airbrake and Mercedes-Benz Sensotronic brake by wire system system assist. finished in a stunning Crystal Laurite Silver with a fiery Red and Black trim. 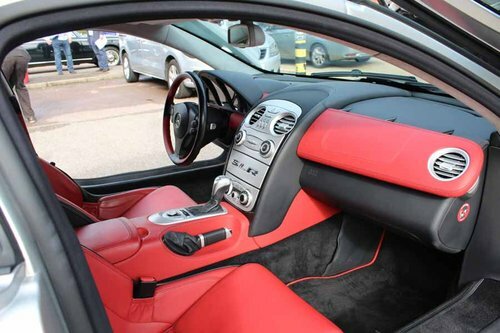 The thinking man's supercar, this SLR includes automatic climate control, a spectacular 7-speaker BOSE sound system, multifunction steering wheel, and leather interior to fit Mercedes' early Grand Touring ambitions. With an 18,116 mileage completed from new with all service work being carried out by SLR Centre Brooklands. This SLR is ready for it's new owner to enjoy the absolute experience of Mercedes most ambitious supercar in the last decade.